i-Lipo is a revolutionary system combining vacuum massage and low level laser therapies to deliver exceptional fat reduction and cellulite improvement results while promoting skin cell renewal, stimulating lymphatic drainage, and improving circulation. Right now at Piering Chiropractic i-Lipo treatments are only $50. "The measurement data and patient satisfaction with the treatment outcome support the use if the i-Lipo low level-laser treatment to specifically target the waist anatomy for circumference reduction and body shaping. A healthy lifestyle of diet and exercise would be required to maintain energy homostatis in the fat cells after their treatment."" "Subjective assessment was significantly positive for the treatment group. No adverse effects were reported by any subject and treatment was delivered without pain or discomfort or down-time form normal activities." During an i-Lipo treatment a laser is used to stimulate the body’s natural process for breaking down and releasing stored content in the fat cells. How many treatments of i-Lipo will I need? i-Lipo treatments are structured into courses of eight. Your number of i-Lipo treatments, however, is determined at your consultation and is based on your requirements and goals. We suggest two i-Lipo treatments a week over four weeks to complete a full course of i-Lipo treatments. How long is each i-Lipo treatment? i-Lipo laser treatment takes just 20 minutes . The length of time for your post-treatment exercise to "burn off" the free fatty acids is determined at your consultation and is based on your requirements and goals from your i-Lipo results. Why do I have to workout after i-Lipo treatments? Once the fat cells are broken down after i-Lipo treatments, the contents of the fat cells need a way to exit the body. If they do not exit the body within a few hours, they get reabsorbed by other fat cells. A brief workout immediately after an i-Lipo treatment ensures that the fat is excreted via the lymphatic system. Do I have to workout after i-Lipo treatments? Working out after i-Lipo treatments gives the body a way to metabolize and excrete the fat that is broken down. If you don’t do a workout after your i-Lipo session, you run the risk of the released fat being absorbed by other cells since your lymphatic system is not actively draining it. Most people feel very little during their i-Lipo treatment and find it comfortable and relaxing. The typical sensation felt is slight warmth where the treatment pads are in contact with your skin. Is i-Lipo suitable for everyone? i-Lipo can be used on both men and women and can treat most areas of the body except the female breast. 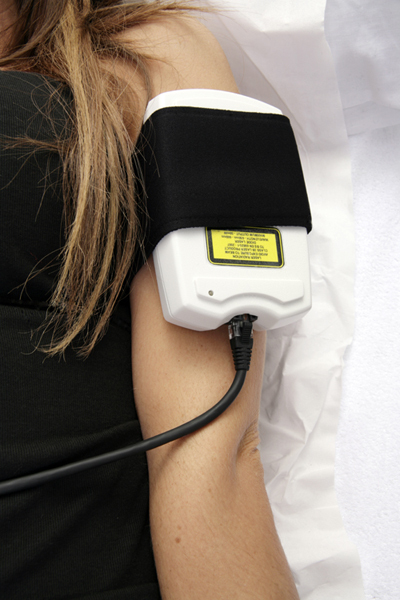 As with any treatment, people with certain medical conditions should not use the i-Lipo. Your i-Lipo practitioner will go through a full medical questionnaire and consultation prior to treatment to confirm suitability. i-Lipo is not recommended for patients that are pregnant, breastfeeding, have a history of malignancy, or have diabetes. Yes. Independent clinical studies have shown i-Lipo to be completely safe with no side effects. The i-Lipo laser simply triggers a natural reaction of fat cell release. The process does not cause any damage and cells remain intact, just smaller, giving immediate results. The i-Lipo is FDA cleared. How long will my i-Lipo results last? i-Lipo results are long-term, provided your calorie intake and eating plan is stable, and you engage in regular exercise. Further i-Lipo treatments can be performed to correct diet indulgence or target another area of the body. When will I see my i-Lipo results? Often i-Lipo results can be seen immediately and improve with every treatment. Over the course of eight i-Lipo sessions, you can achieve dramatic reshaping of the body and reduction in cellulite. How long is the recovery time from i-Lipo? There is no recovery period and no down time after i-Lipo sessions. 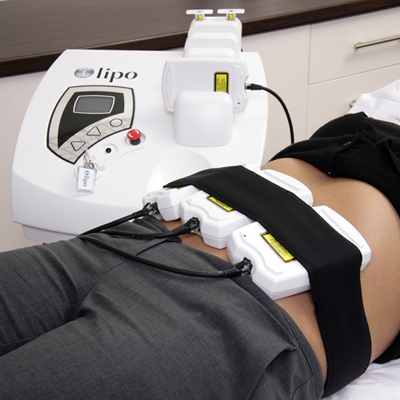 The abdomen, saddlebags, thighs, upper back area, neck, arms, and calves can all be safely treated with i-Lipo. Can I treat more than one area at a time with i-Lipo? It is not recommended to treat more than one area at a time with i-Lipo due to the difficulty to excrete the fat from multiple areas and overall treatment being less effective. We recommend completing one area before starting on another i-Lipo treatment location for optimal results. How much does i-Lipo cost? Each area requires 8 i-Lipo treatments. Each i-Lipo session lasts approximately 1 hour from start to finish. Typically 2-3 i-Lipo treatments are done in 1 week resulting in roughly a 3-4 week commitment. How do I start i-Lipo? Simply schedule your free consultation to ensure that you make a good candidate for i-Lipo treatments and then we can start!